For years, Jeff Smith ran the education organization DC Voice with a vengeance, demanding faster and better school reform. Instead, maybe he should have taken a few courses in ethics. 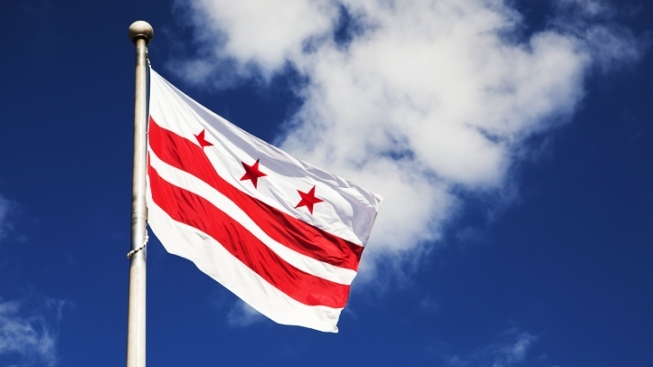 On Monday, Smith pleaded guilty in D.C. Superior Court for asking for and accepting $140,000 in illegal contributions for his 2010 campaign for the Ward 1 D.C. Council seat. The money came from businessman Jeffrey Thompson. Smith will be sentenced in August to up to 24 months in prison, but he may get probation. The $140,000 equaled the legal amount Smith raised and spent that year. Ward 1 Council member Jim Graham won that election. Smith didn’t respond to those earlier warnings to disclose wrongdoing. But when he was visited by prosecutors, he quickly acknowledged his misconduct. Smith is a graduate of Howard University’s law school, and he served in the military. He’s a former school board member who resigned in 2007 in protest of the mayoral takeover of the school system. In his Ward 1 council race, Smith put up a YouTube video saying how he couldn’t raise much money but would focus on neighborhoods. Well, it’s clear he lost his focus. ■ More on closing the Capitol. We wrote disapprovingly last week about a proposal for Congress to expand its footprint on Capitol Hill, buying up private property, closing streets and banning vehicles, all in an effort to create a more secure campus. We’re happy to report that D.C. Del. Eleanor Holmes Norton again has introduced legislation to create the U.S. Commission for an Open Society with Security. The goal would be to better assess security measures that almost by default mean less freedom and openness. The 21-member commission would include nine appointees from the president, with the House and Senate getting six each. ■ What’s in a name? Pride. Daniel Snyder has seen a torrent of criticism over the name of his Washington football team. The U.S. Patent and Trade Office last week moved to deny him federal patents over the team name. But the team is appealing, and it could be years before that legal issue is resolved. Now comes a Northern Virginia group to support Snyder, the first organized effort outside of the team to really champion, rather than criticize, the name. The legislators are Sen. Chap Petersen of Fairfax City, Del. Jackson Miller of Manassas and Del. David Ramadan of Loudoun County. In a recorded interview with NBC4’s Jack Heinbaugh, Ramadan said it was “inappropriate” for Congress to get involved in the name controversy. Half the U.S. Senate signed a letter critical of the team name and called for a change. Asked what he personally thought about the team, the native of Beirut, Lebanon, said he was astonished at the criticism, calling the name an honor. “For many, many years I was a fan of the Redskins before I even immigrated to the United States,” said Ramadan. ■ No sales tax for you. Retiring Fire and Emergency Medical Services Chief Kenneth Ellerbe is the latest District government official or worker to hold a retirement party at Fort McNair in Southwest Washington. He won’t be the last. But the Notebook wants to point out that Fort McNair and other federal places that host events do not charge city sales taxes. So our own District government loses out when local folks and organizations pick the feds over a city space. It’s also less support for true local businesses that do pay our taxes.